All this talk over autonomous vehicles has investors and industry observers drooling over companies like Nvidia (NVDA - Get Report) , Intel (INTC - Get Report) , Alphabet (GOOGL - Get Report) (GOOG - Get Report) via Waymo, General Motors (GM - Get Report) via Cruise and, of course, Tesla (TSLA - Get Report) . But there are a ton of companies involved in this budding industry ranging from Silicon Valley startups to well-known automakers. One of those companies? Volvo, a Sweden-based automaker that was sold to Chinese automaker Geely in 2010 by Ford Motor Co (F - Get Report) . Volvo Trucks is a subsidiary of Volvo and is the world's second-largest producer of heavy-duty trucks. This week, the company introduced its autonomous vehicle (AV) solution, which is a cab-less vehicle towing a trailer. Being called the Vera, the vehicle is an all-electric, driverless solution. It essentially looks like a car that no one can sit in is being combined with a semi truck. According to Volvo, the truck will be able to drive almost 200 miles on a charge. It reminds us of another Swedish company looking at cab-less trucking solutions. We met with Einride back in January at the Detroit Auto Show, as they showed off their new-look truck. Some may question the seemingly short range of the vehicles. Here in the U.S., 200 miles may not get very far. But if there are multiple vehicles operating as part of a fleet that are making numerous back-and-forth trips each day, the Vera could be an option. It could work great at ports, factories and between locations or cities that aren't too far apart but need continuous shipping and logistics solutions. And as battery technology improves, it's expected that the Vera and other vehicles will improve their range. After attending the Autonomous Vehicles 2018 conference in Novi, MI., it's clear that trucking and logistics companies are looking to the future of transportation, too. That's clear by companies like PepsiCo (PEP - Get Report) and Walmart (WMT - Get Report) ordering semi trucks from Tesla, but it's also clear as they look to maximize efficiencies and reduce costs. The most expensive part to trucking? Fuel and the driver. By going to an all-electric AV, truck companies can eliminate both costs. While some may be concerned over the economic repercussions, the transition will take time. During a panel discussion at the AV18 conference, trucking executives and leaders believed that it would take three to four years before AV trucking solutions were on the road. On top of that, there's a shortage of truck drivers right now and that will likely persist into the future. 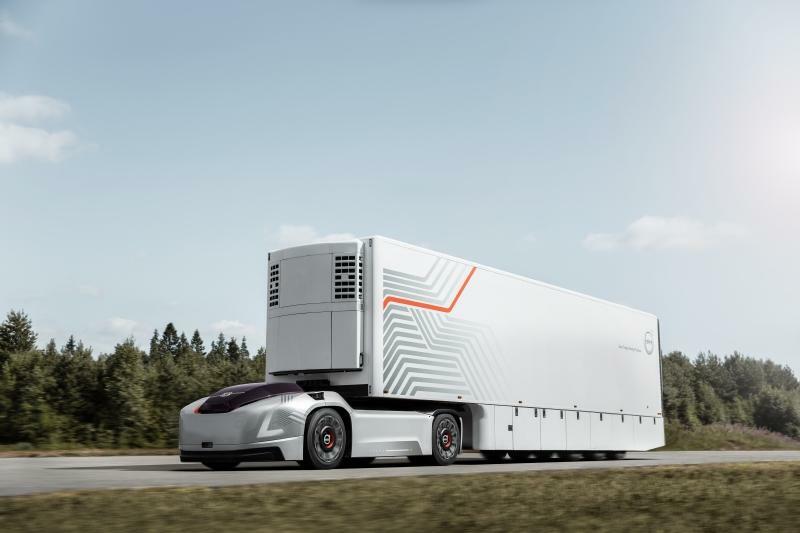 So the first introduction of AVs in the logistics market will likely be in areas like oil fields, ports and factories, eventually working their way up to geo-fenced highway routes. Volvo's move with the Vera shows that trucking companies aren't sitting by idly while AV technology continues to push forward.